Anaïs Mitchell's highly anticipated new musical Hadestown officially opens at Broadway's Walter Kerr Theatre on April 17. Co-conceiver Rachel Chavkin (The Great Comet) directs the production, choreographed by David Neumann and music-directed by Liam Robinson, which began previews on March 22. 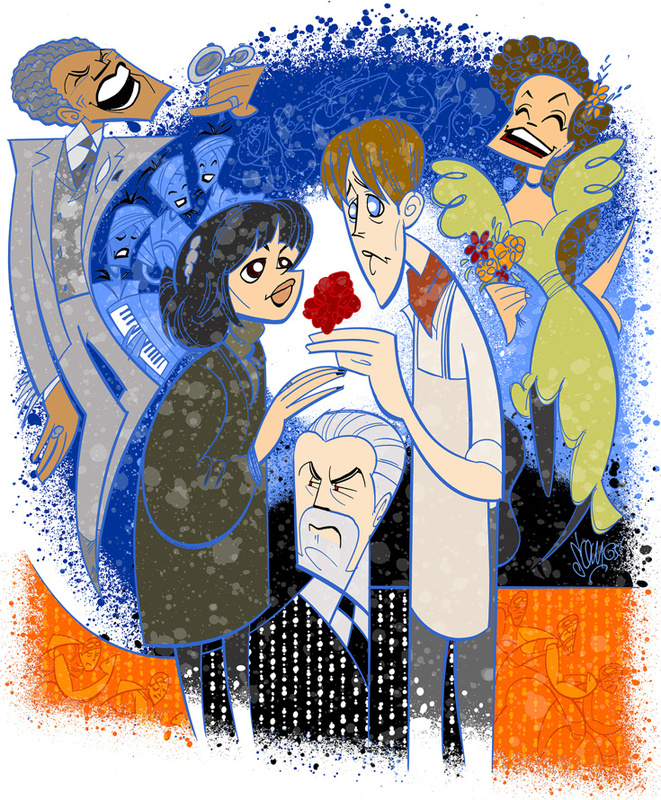 Reeve Carney, Patrick Page and Eva Noblezada star. The cast also includes André De Shields as Hermes and Amber Gray as Persephone, with Jewelle Blackman, Yvette Gonzalez-Nacer and Kay Trinidad as the Fates, and an ensemble featuring Afra Hines, Timothy Hughes, John Krause, Kimberly Marable, Ahmad Simmons, Malcolm Armwood, T. Oliver Reid, Jessie Shelton and Khaila Wilcoxon. In celebration of opening night, Broadway.com Resident Artist Justin "Squigs" Robertson sketched a portrait featuring the show's stars offering up an innovative homage to Greek mythology.